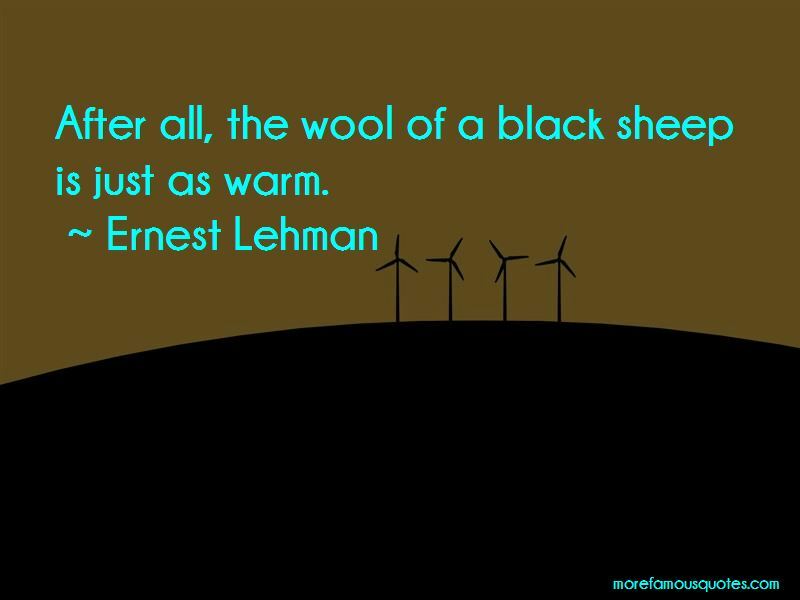 Enjoy the top 6 famous quotes, sayings and quotations by Ernest Lehman. One of the tricks is to have the exposition conveyed in a scene of conflict, so that a character is forced to say things you want the audience to know - as, for example, if he is defending himself against somebody's attack, his words of defense seem Justified even though his words are actually expository words. Something appears to be happening, so the audience believes it is witnessing a scene (which it is), not listening to expository speeches. 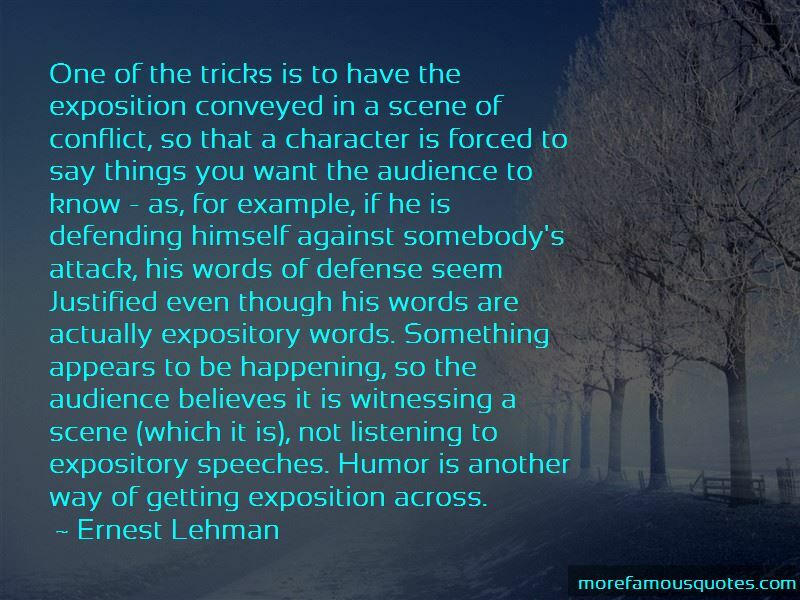 Humor is another way of getting exposition across. 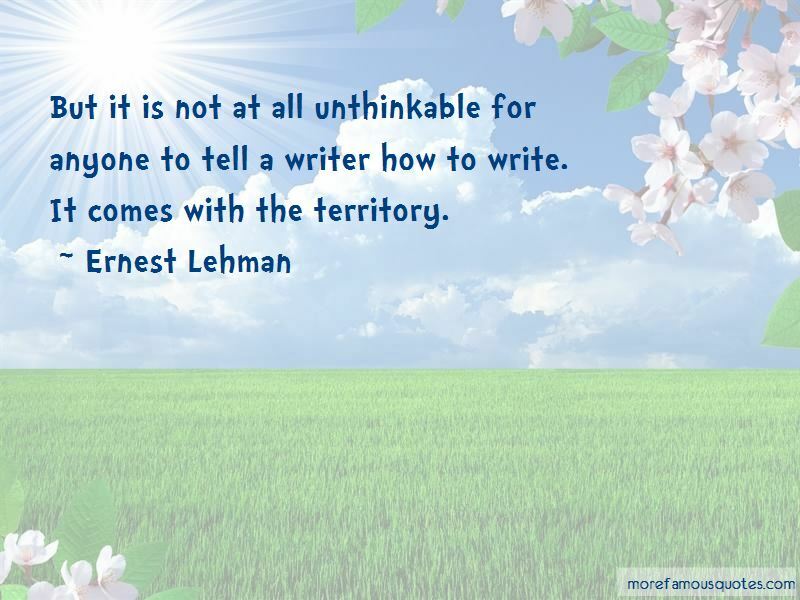 But it is not at all unthinkable for anyone to tell a writer how to write. It comes with the territory. Want to see more pictures of Ernest Lehman quotes? 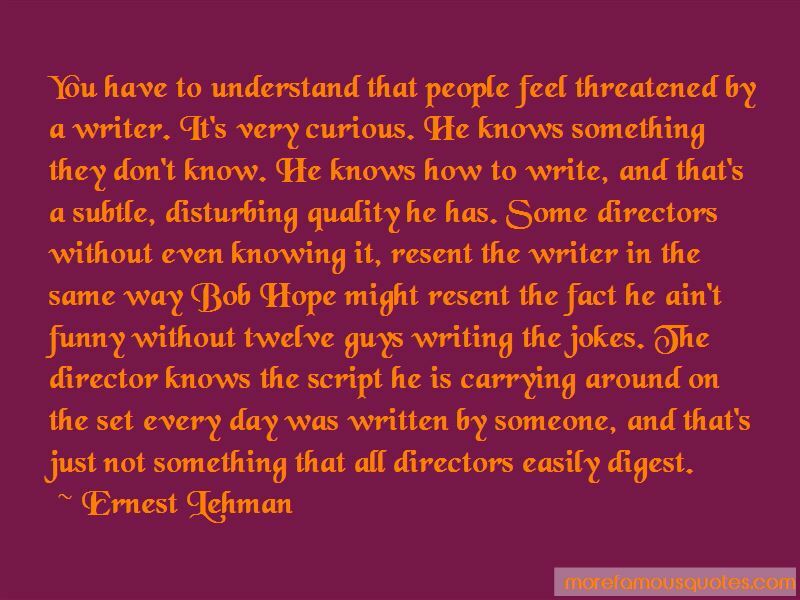 Click on image of Ernest Lehman quotes to view full size.